Gold is a fascinating metal. Men have rushed for it, fought for it, lied for it and died for it. Nearly one hundred percent of it ever mined is still above ground and in use. It neither tarnishes nor rusts. First mentioned in the Bible in Genesis chapter 2, it has been called the metal of kings. God commanded the Ark of the Covenant to be overlaid with it. It is universally recognized as a symbol of wealth and financial stability. And despite the best efforts of central bankers to dismiss it, it recently has soared in popularity as investors seek to use it to protect their hard-earned savings from the predations of dishonest paper currencies. In short, gold is valuable stuff. And that fact makes Peter’s description of the genuineness his readers’ faith all the more compelling. Had Peter compared their faith to copper or iron or even silver, something would be lacking. These things tarnish and rust. They are used up and must be replaced. But when gold, precious, beautiful gold, can’t measure up to the faith of God’s people, that faith is valuable indeed. The world tends to discount faith, to hold it in contempt. To the world, “faith based” is a term of reproach, and to describe something in these words is to dismiss it as nonsense. Many who name the name of Christ hold faith in contempt as well, attaching to it meanings that it never bears in Scripture. But Christian faith, saving faith, is simply the understanding of and belief in the Gospel. And compared to this God-wrought faith, even gold is a base metal. Whatever their nature, all debts must be paid. This is a basic feature of God’s creation and one that reflects his character. We see this in Romans where Paul described God as both just and the justifier of the one who has faith in Jesus. Sin put us in God’s debt, and his justice demands payment, a payment no sinful son of Adam can ever make. God doesn’t wink at our sins, he doesn’t let us file bankruptcy or default. Our sin debt must be paid, either by our eternal condemnation or by the blood of his Son Jesus Christ. This is a simple point, an elementary point, a point that a child can understand. And yet this simple point often causes us to stumble. We want to believe that there really is a free lunch. This wishful thinking isn’t limited to our sin problem, but shows up in how we think about more mundane areas such as fiscal and monetary policy. The United States, and indeed the whole western world, has incurred an enormous monetary debt because people believe in free lunches, that is, they think that debts do not have to be paid. One of the few prominent investors who gets the debt issue is Marc Faber. I don’t know whether he’s a Christian, but his understanding about debt is certainly consonant with Scripture. We cannot spend our way out of debt, that’s a Keynesian lie. Our debt, he tells us, must be paid. That’s not the line the folks from Washington, Wall Street or Main Street want to hear, but it is the truth. Check out this video interview with Faber. There’s a big difference between giving the Ark Encounter a rebate of the tax revenue generated by the park, revenue which never would have been generated were it not for the construction of the attraction, and forking over tens of millions of dollars of taxpayer money to a privately run company. Answers in Genesis to my knowledge has never accepted tax grants, and I’m glad to hear that this is the case with Ark Encounter. So this raises the question, if Ark Encounter is not feeding at the taxpayer trough, what real objection do the folks at the Louisville Courier -Journal, the Cincinnati Enquirer and other organs of opinion have to the construction of a privately financed project by people who have never taken a dime of taxpayer money and have a track record of producing impressive attendance results at the Creation Museum? As plans move ahead to build Ark Encounter, a historically themed attraction centered around a full-scale replica of Noah’s Ark, opposition from the usual suspects is building as well. When I first wrote about this story a few weeks ago, the local intellegensia were concerned about the constitutionality of the State of Kentucky providing tax incentives to Ark Encounter. This, they said, was a breach of the anti-establishment clause. But theirs was a weak argument. Ark Encounter is set up as an Limited Liability Corporation and managed by a subsidiary ministry of Answers in Genesis. It is not a church, and therefore the anti-establishment clause does not apply in this case. But even if Ark Encounter were a church, the Constitution’s anti-establishment clause applies only to the federal government, not to state governments, so there would still be no constitutional ground for denying the organization a tax break, or even, as appears to be the case with Ark Encounter, some sort of State funding. Not that I’m in favor of state-funded churches. I think they’re a terrible idea. 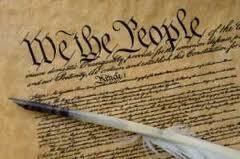 But then so is misapplying the Constitution. Projections that 1.6 million people a year would visit Ark Encounter – the proposed Biblical theme park in Grant County to be financed in part with Kentucky tax incentives – are wildly optimistic, according to a half-dozen theme-park experts. “Frankly, anyone who believes that this park will draw 1.6 million visitors a year really does believe that the Earth was created in just six days,” said Robert Niles, editor of themeparkinsider.com, an online publication. Timothy Beal, a religion professor at Cleveland’s Case Western Reserve University and author of “Roadside Religion: In Search of The Sacred, the Strange and the Substance of Faith,” said Ark Encounter risks alienation many Christians if, as promised, it promotes the literal Biblical interpreetation that the Earth was created in six days. “I think there are fewer and fewer people who are interested in that debate, including Christians,” Beal said. Fairly harsh stuff, that. But to those who witnessed the uproar surrounding the construction of the Answers in Genesis Creation Museum, it comes as no surprise. For in the years leading up to the museum’s groundbreaking, there were what seemed like endless legal challenges put forth by its opponents. If I recall correctly, their main charge was that building the museum where it was planned would result in zoning violations. All this seemed rather strange to me, for the area surrounding the museum’s property was and is largely undeveloped. I mean, it wasn’t as if AiG was going out of its way, like one local municipality did, to bulldoze a neighborhood for the noble and necessary purpose of expanding an already large shopping center, or tear down a longstanding and profitable business district in order to build a taxpayer funded football stadium that sits empty 364 days a year like Hamilton County. No, AiG was guilty of something much worse: wanting to build a privatly funded museum that presents Genesis as actual history, not as myth, magic or metaphore. In the end, the critics’ real objections were to the Christian doctine of creation, not the construction of a building on a rural section of interstate. But if you followed the story in the local press, you’d have thought the folks at AiG were real estate robber barons bent on ripping off the unsuspecting innocents of Northern Kentucky. And just as in the case of the Creation Museum, I believe the real reason behind the move against Ark Encounter is philosophical: secularists reject the Bible as history and hate and fear those who believe it. This fight should be an interesting one. And you will cry out in that day because of your king whom you have chosen for yourselves, and the LORD will not hear you in that day. – I Samuel 8:18. Trinity Reviews have a way of being eye-openers, and the article Not Yours to Give published by the Trinity Foundation in 1981 certainly was that for me many years ago. 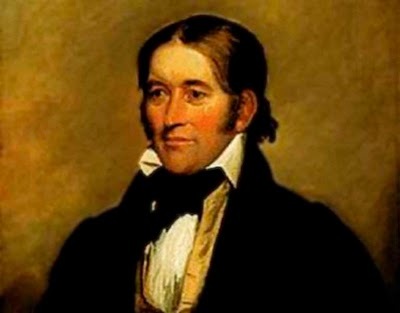 For one, I had never given much consideration to Davy Crockett beyond the image I had of him as a frontiersman, but this essay disabused me of that caricature. Col. Crockett was a man of many accomplishments and great integrity, not the cartoon-like character that I had supposed him to be . But a second and more important lesson I took from the essay was the immorality of unconstititional federal government spending. The power of collecting and disbursing money at pleasure is the most dangerous power that can be entrusted to a man…If you had the right to give anything, the amount was simply a matter of discretion with you, and you had as much right to give $20,000,000 as $20,000. If you have the right to give to one, you have the right to give to all; and, as the Constitution neither defines charity nor stipulates the amount, you ae at liberty to give to any and everything which you may believe, or profess to believe, is a charity, and to any amount you may think proper. You will very easily perceive what a wide door this would open for fraud and corruption and favoritism on the one hand, and for robbing people on the other. None of these things – the fields, vineyards, olive groves, grain and vintage – were the king’s to give, but he would plunder the people in order that he might reward those who had or could help him. This same situation obtains today, for what has been dubbed the welfare-warfare state – our massive social welfare bureaucracy on one hand combined with a powerful military-industrial complex on the other – is simply an example of politicians rewarding those who reward them, regardless of the morality or constitutionality of the act. Add to this the bailout culture now in place since the 2008 financial crisis and it should come as no surprise that we now have a $14 trillion national debt. One of the most effective academic and popular critics of big government in recent years is Walter Williams. Dr. Williams, an economist at George Mason University, has mentored numerous people in free-market economics, the rule of law and constitutional government over the years through his books and columns. His most recent column is an excellent example of his work in this area. If this nation is going to have any hope for a future without severe poverty and oppressive tyranny, Americans had better relearn the simple lessons of limited, Biblical, constitutional government understood so well by earlier generations. Read the rest of Williams article here. For a long time now I’ve followed Lewrockwell.com. It’s a libertarian blog touting Austrian economics and anarcho-libertarian politics. Now while I don’t count myself a libertarian – libertarianism does not take its ethics, politics or economics from Scripture, the requirement for a Scripturalist – and cannot endorse the anarchism advocated by the site, I do appreciate its stand for individual liberty and against big government. That being said, I’ve always found it odd that a website dedicated to “anarcho-capitalism” as they like to call it would attempt to defend the principles of anarchy and capitalism by using the philosophy of the Roman Catholic Church-State, for Romanist dogma supports neither. First, Romanist political theory is certainly not friendly toward libertarian anarchy, or for that matter even sober, Biblical constitutional government. Rather, Rome’s political doctrine of subsidiarity – “according to which, ‘a community of a higher order should not interfere in the internal life of a community of a lower order, depriving the latter of its functions, but rather should support it in case of need and help co-ordinate itsactivities with the rest of society, always with a view to the common good’ ” – is hierarchical and interventionist in the extreme. She [Rome] has likewise refused to accept, in the practice of “capitalism,” individualism and the absolute primacy of the marketplace over human labor…regulating it [the economy] solely by the law of the marketplace fails social justice, for ‘there are many human needs which cannot be satisfied by the market.’ Reasonable regulation of the marketplace and economic initiatives, in keeping with a just hierarchy of values and a view to the common good, is to be commended. – Catechism of the Catholic Church, 2425. Rome, ignoring Christ’s teaching about private property”is it not lawful for me to do what I wish with my own things?,” posits “reasonable regulation of the marketplace” – reasonable in whose eyes? – as a preferable alternative to the Biblical economic model of laissez-faire capitalism. main gist…is the thesis that Catholicism makes for a libertarian spirit (albeit “anti-democratic”) while Protestantism makes for socialism, totalitarianism, and a collectivist spirit. Yes of course, we all know how collectivist those Calvinist colonialists were. 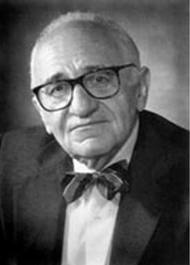 Writing in a book review, Rothbard slanders the English Reformation as “The Cultural Revolution in 16th Century England,” and advances the idea that the English Reformers were nothing but a bunch of Protestant bullies who beat up helpless and saintly monks, bishops and cardinals, stripped their altars and stole their lunch money. Roman Catholic Thomas Woods regularly advances the idea that Romanism and capitalism are compatible systems and has even written a book on the subject titled The Church and the Market. Now I can have some sympathy for a freedom-minded Roman Catholic scholar who constantly must struggle with the cognitive dissonance arising from the clash of his capitalist principles and the social teaching of the Roman Catholic Church-State. His is not a fate to be envied. But my sympathy is limited. For such a man is double minded, refusing to see the screaming contradiction between capitalism and the oppressive economic dogma of Rome. As James tells us, let not such a man expect that he will receive anything of the Lord. He is unstable in all his ways. Awhile back, I’m not really sure why, I started getting weekly newsletter emails from a group called InsideCatholic. And although I don’t recall signing up for their email list, I decided not to unsubscribe since the articles were written for the purpose of explaining and defending Roman Catholic social teaching, an area of particular interest to me. Not that I agree with the Romanists, mind you. Far from it. I find the social and economic teaching of the Roman Catholic Church-State as repellant as its false gospel. But there’s something to be said for reading the arguments of your opponents. While the bishops objected vigorously to the presence of abortion funding in the legislation, they seem untroubled by the question of its general constitutionality, one that comports closely with the principle of subsidiarity as articulated in Catholic social teaching. is a fundamental principle of social philosophy, unshaken and unchangeable…The state should leave to these smaller groups the settlement of business of minor importance. It will thus carry out with greater freedom, power, and success the tasks belonging to it, because it alone can effectively accomplish these, directing, watching, stimulating (do these guys sound like good Keynesians or what?) and restraining… – Pius XI, Quadragesimo Anno, 1931, 40-41, in Robbins, Ecclesiastical Megalomania, 152.